With so many amazing attractions in one place, it’s easy to see why The Rocks and Sydney Harbour accommodation is so popular with tourists. From the charming laneways of The Rocks telling the story of Sydney’s past, iconic Sydney Opera House and Sydney Harbour Bridge, to the natural beauty of the Royal Botanic Gardens – a visit to Sydney Harbour and The Rocks is not to be missed. Visitors wanting to get a feel for the area can take one of the many tours on offer. Take a ferry to see more of the harbour – or take a jet boat ride to get the blood pumping! Stay dry on land with a walking or cycling tour, be taken by a convict guide to learn more about Sydney’s past, learn the art of photography on a photography expedition, or explore the historic pub scene. 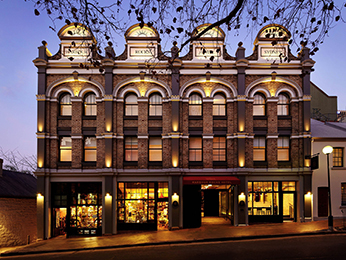 Absorb some culture at the Art Gallery of NSW or at one of the many art galleries and museums at The Rocks. Observe the skies at the Sydney Observatory, or get a different view from one of the area’s lookouts and parks, such as First Fleet Park, Foundation Park and Dawes Point, or even from the top of Sydney Harbour Bridge! 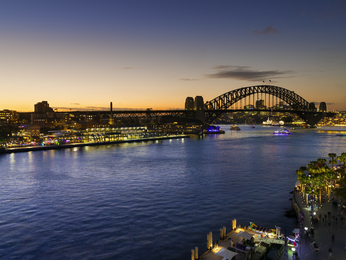 An area packed with restaurants, bars, shops and attractions, Sydney Harbour hotels and The Rocks accommodation is the ideal choice for visitors to Sydney. The rest of Sydney and its surrounds are easily accessible by ferry, bus, train and tram, but with so much on the doorstep, The Rocks Sydney is an incredible location. 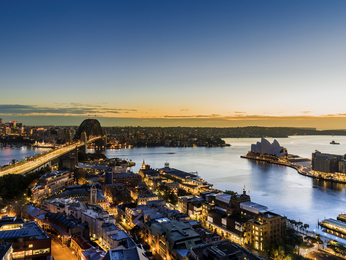 Book hotels in the Sydney Harbour area and save with AccorHotels.